After reflecting and considering my mistakes, it’s nice to look upon my triumphs occasionally, if only to remind myself that I do have them. This is one of those. I know it has flaws which at some point I might fix, but I wear this a lot, especially to teach, and I really like it. Sometimes you just has it. 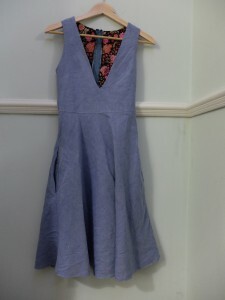 I was re-playing Half Life 2 when I cut this dress out, from lovely floppy chambray I’d bought at Cloth House. Specifically I was on the Nova Prospekt level where Gordon Freeman uses an army of alien antlions to storm the prison and, for those who pay attention, begins to discover what the Combine have been up to: [spoiler] taking humans and modifying them either into Overwatch soldiers or cyborg Stalker slaves. It was nice to replay HL2, just over 10 years after it was first released. I only actually played it in 2007, as part of the legendary Orange Box – I had bought it as a gift for my brother, but was so curious about Portal that I bought another copy, played Portal, which then acted as both tutorial and gateway drug to HL2. I loved the stark look of the game, set in a Brutalist Eastern European environment, further destroyed by the alien Combine, whom Gordon had inadvertently released onto Earth during the events of Half Life. The plot is told via the gameplay rather than tedious unskippable scenes, frequently crossing the borders between game and film. Unfortunately, the world of Half Life and Portal have ruined me for playing anything else. RPGs feel like boring part time jobs, puzzle games are frustratingly pacifist and the least said about MMORPGs the better. I felt a revisit has been overdue for some time and since you can now play many games on Linux via the steam player, I didn’t even have to bother to use Windows any more. The pattern is Simplicity 1325, bought in a binge in their last half price sale. When I’m teaching, I do have to assume the sort of positions one might use when giving birth, so there’s a lot of bending over, squatting and lying down involved. A voluminous, but not floaty, skirt does a good job of covering up the bits I’d prefer not to display whilst giving freedom of movement. When I wear trousers, there’s always a concern that when I bend over, everyone will get a nice view of either my pants or lower back, or my tummy if I lie down, so a dress of this length is ideal. The pockets are also handy for spare pens, sweets, tissues, phone and random articles. We don’t go to Ravenholm. We also don’t do our zips properly on the inside. Shh. I feel a dress like this would be ideal for battling malevolent and mysterious alien alliances, guided at all times by a trans dimensional entity with unclear motives. It is possibly the kind of thing Alyx Vance would wear on more formal occasions as it has pockets for her Plot Device (like a sonic screwdriver, it does whatever she requires it to do at any point) and apparently limitless ammunition. The deep V-neck was quite tricky and the pattern instructions did not make it any easier. I reduced the stitch length to Piddly and went very slowly, reinforcing the V as much as I dared to avoid holes appearing in the future. 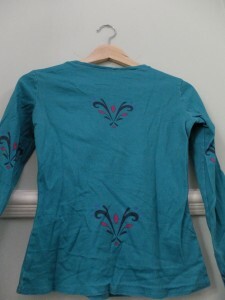 Rather than self lining, I used some left over Liberty lawn, for a nice contrast and to reduce the weight. 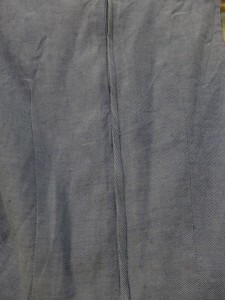 It is understitched but still a tad visible. I decided I didn’t mind – I think this is because the two fabrics have different levels of stretch. I’d probably trim down the lining next time in a similar situation. Prepare for unforeseen consequences. 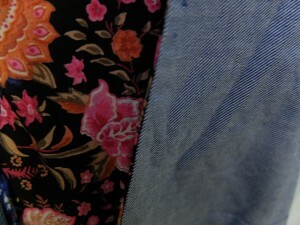 Visible lining for instance. I have just finished the game – it took longer than the dress. People often clamour for sequels of things that they felt ended before their time. Firefly, for instance. I don’t usually feel like that. After Serenity I thought the characters were pretty much where I wanted them to be and I was happy to leave them there. However, after HL2 Episode 2, the characters are in the middle of something, things are still to be revealed including a tie up with Portal, and something catastrophic has just occurred. I would still like some form of conclusion, even if the actual game were rubbish. The generally agreed theory is that Valve (the game’s publishers) have either moved on, a sequel has been produced that they just weren’t happy with, Valve don’t want to be caught in a treadmill of endless crappy sequels, and they don’t need the cash, having invented a perpetual money machine (Steam). As usual I hacked out about 2 inches from the upper back. This is my non scientific narrow shoulder adjustment and it’s usually the only thing I need to do with a pattern like this. Although I am short, I find I don’t usually need to raise the waistline and I’m fortunate enough to waver between a B and C cup – most mainstream patterns are apparently drafted to a B cup and graded up or down, and indies tend to use a C cup so I’m good either way. The fit is close, let’s say, and there isn’t a huge amount of cake room. But this is a standing up and working dress, not a sitting down eating cake dress. Honest. The chambray was very obliging and well behaved, although it frayed like buggery. I did slipstitch the bodice lining, which I don’t usually do. Slipstitching (hack, spit!) is not my best thing. However, I think the difference in weight between the shell and lining caused some wonkoidness when I attempted to ditch stitch so I got the needle out. Bah. I also should have staystitched the skirt as this stretched out a little and the side seams do not line up exactly with the bodice. How much skirt? This much skirt. I challenge you not to swish this skirt. I did a lapped zipper, my first that wasn’t a complete eyesore. This is partly due I think to buying a decent zip, rather than a crap one. 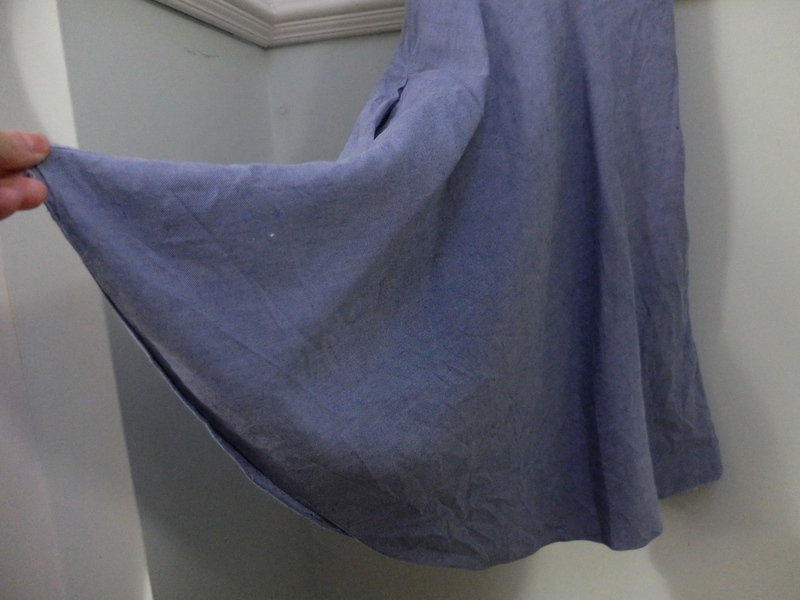 The creases here are due to slapdash ironing. A moment’s quiet reflection for a lapped zipper that doesn’t look like a Vortigaunt’s bottom. The hem is currently rolled. This was a mistake of course, the fabric is much too thick, but at the time I felt I couldn’t face handstitching what is almost a full circle skirt. I am still too much in love with my rolled hem foot but I really should say goodbye to it at some point. Elsa print organic jersey from Spoonflower. For the uninitiated this is the rosemaling design on Elsa’s coronation gown. I managed to get the design lined up nicely front and back, and on the sleeves. I let this go to the extent that I photographed it without ironing it first. Haha! So far most people don’t get the reference. It’s very popular with the five year olds though. 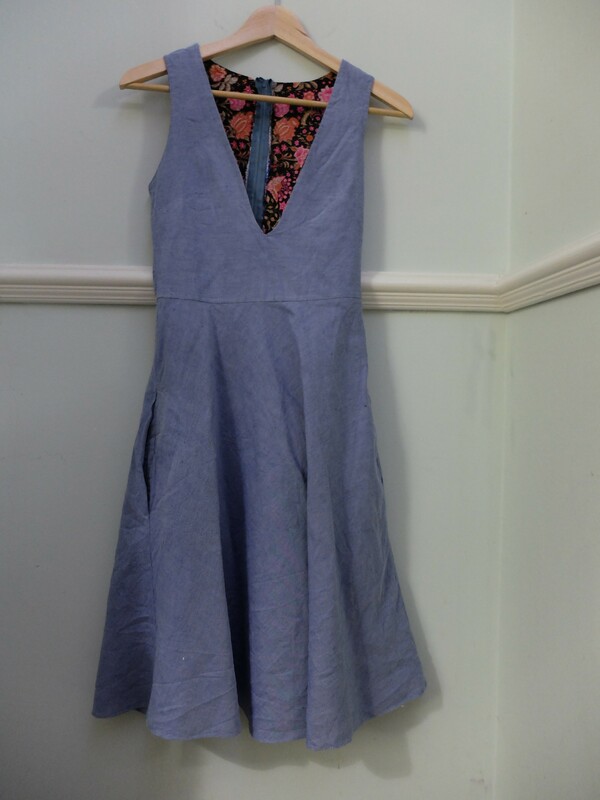 The T-shirt itself was great to make and the higher neckline goes well with this dress.